At the Retis laboratory of Scuola Superiore Sant'Anna, a moving ball was visually tracked using FLEX board with a CMOS camera. A demo showing a simple point to point wireless communication between two nodes, composed of a FLEX Board with a CC2420/EasyBee transceiver board, implemented using Erika Enterprise Basic. 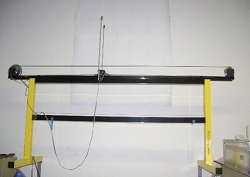 At DCS, ESAII, UPC (Distributed Control Systems group, Automatic Control Department, Technical University of Catalonia), Barcelona, Spain, an Inverted Pendulum was controlled using FLEX board with the ERIKA real-time kernel. This demo shows the implementation of a simple application for setting up a Hv7131GP to capture images. 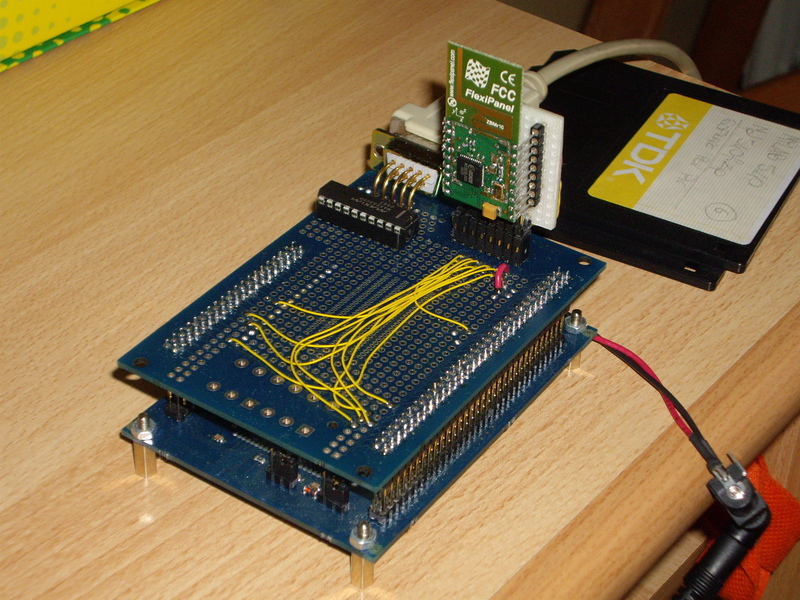 This setup consists of FLEX boards with a HV7131GP camera + breakout board and a serial to TTL converter. 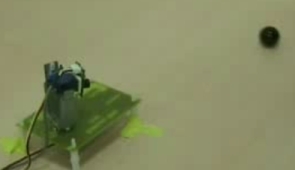 This demo shows the use of line sensor based imaging in energy and bandwidth constrained devices. This setup consists of FLEX boards with a HV7131GP camera + breakout board and a serial to TTL converter. This demo shows use of ROOT framework for serializing captured 2D images and accessing them off-line from the ROOT file repository.